Calmare is a “provider dependent” therapy. Know your provider. 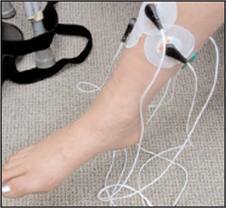 The scrambler therapy is performed by a “provider,” a specially-trained clinician who places each of the leads on the patient, sets the voltage, monitors response minute-by-minute and day-by-day, and makes ongoing adjustments based upon the patient’s response. In my practice, I am the provider, 100 percent of the time, from start to finish ─ no exceptions. The Calmare administering healthcare professional must have extensive expertise, training and understanding to accurately diagnose the precise location of the pain site/s. Why? Because the placement of the leads (patches) which are attached to each of the algorithms must be precisely placed in order to alleviate pain. If these leads are placed in the wrong area, this lessens the overall capability of the Calmare MC-5A technology to optimally perform its job. I have served as a Trainer for the treatment for some new doctors introducing Calmare, and it is a responsibility I take very seriously. The most experienced Calmare Therapy providers have received a careful review and on-site examination by the company’s administrators who may or may not designate the top providers as Calmare Certified. I strongly encourage you to seek out these providers for your therapy. Secondly, ask the provider you are considering how many patients they have treated with your specific chronic pain condition ─ back and neck pain, post surgical pain, RSD / CRPS / fibromyalgia, pain after chemotherapy, diabetic neuropathy, etc. Your Calmare technology will be most successful when your chosen provider has advanced expertise in the placement of each lead. In my opinion, this vitally important task should only be administered by a healthcare professional specifically trained in the diagnosis and treatment of several types of advanced neuropathy. As a reminder, I talk with patient living with severe, treatment-resistant chronic pain every day. Sometimes I recommend Calmare, sometimes other treatment is recommended. Regardless, I’m always happy to offer advice or my opinion. Feel free to call my office at (201) 933-444zero.